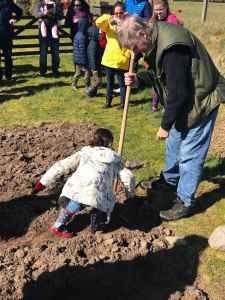 A century ago the founding members of the villages of Upper Coll and Gress gathered in peaceful protest and planted potatoes to mark the land of these villages as theirs. 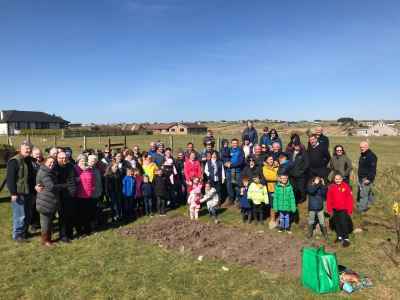 Yesterday (Saturday April 13) their descendants gathered together to commemorate the efforts of those men who fought to secure the land and homes fit for heroes they had been promised once the fighting of World War One came to an end. 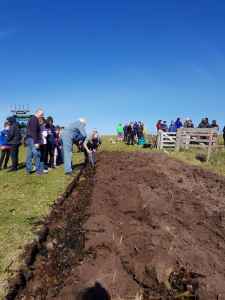 Comann Eachdraidh Sgìre a’ Bhac said on Facebook: “The children and young people of Upper Coll and Gress did a fantastic job in making sure their potatoes were planted well and we all look forward to tasting the fruits of their labour later in the year! 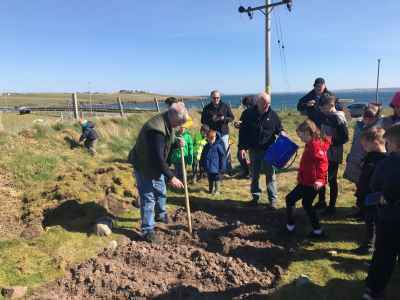 “Find out more about today's event on BBC An Là and Aithris na Maidne on Monday. 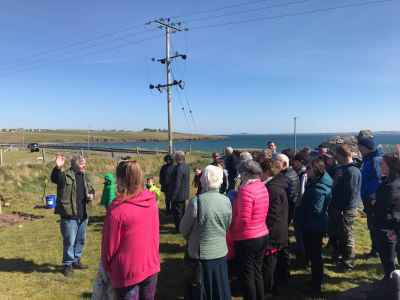 “No I will not give you the land, not because I am vindictively opposed to your views and aspirations but because I believe that if my views are listened to if my schemes are given a chance the result will be enhanced prosperity and greater happiness for Lewis and its people. It was only because of obstructions from the previous Lewis landowner, Major Duncan Matheson, that the farms were not already occupied by crofters. Every legal obstacle was placed in the way of the Board of Agriculture which, once the country was at war, had more urgent priorities. 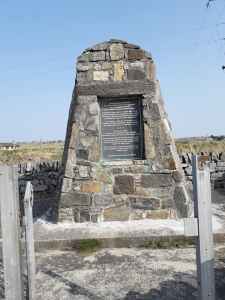 The island awoke on New Year's Day, 1919, to the Iolaire disaster. Amid the general atmosphere of despair, work started on Leverhulme's schemes which provided the focal point for hope and optimism. MacFisheries, conceived of as the vehicle for marketing the fish landed and canned at Stornoway, was incorporated in February. Leverhulme had formally requested that the resettlement plans for the farms should be abandoned. 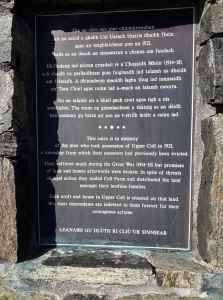 But the Secretary for Scotland, Robert Munro was personally very much on the side of the crofters and also knew the dangers of reneging on promises made before the war. 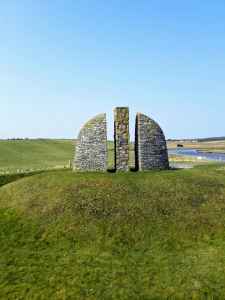 By early 1922 the crofters of Gress and Coll succeeded in winning their battle and in the ballots for land, despite Leverhulme’s protestations, the raiders were included in the draw organised by the Board of Agriculture.